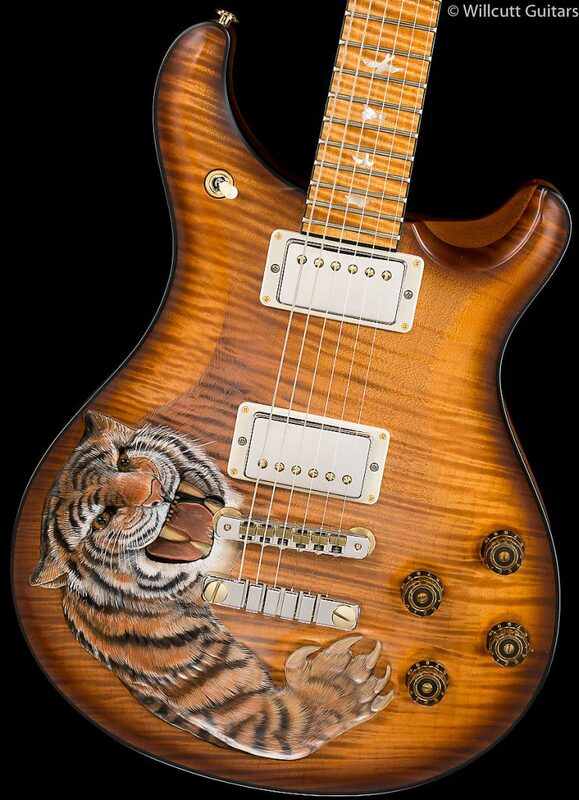 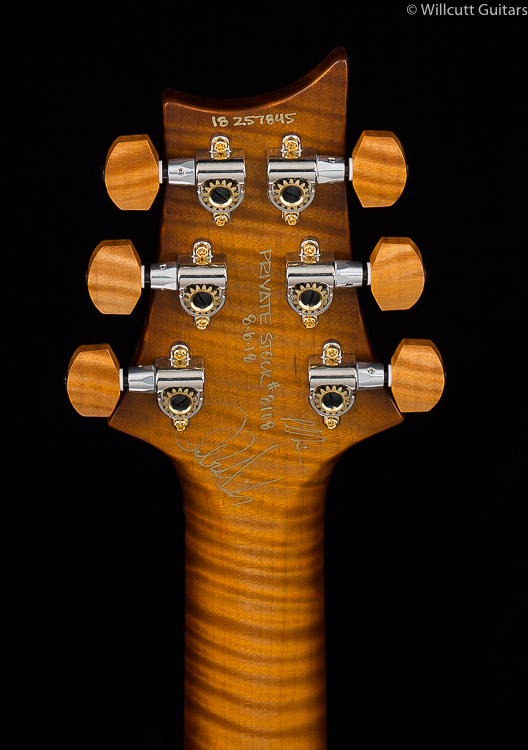 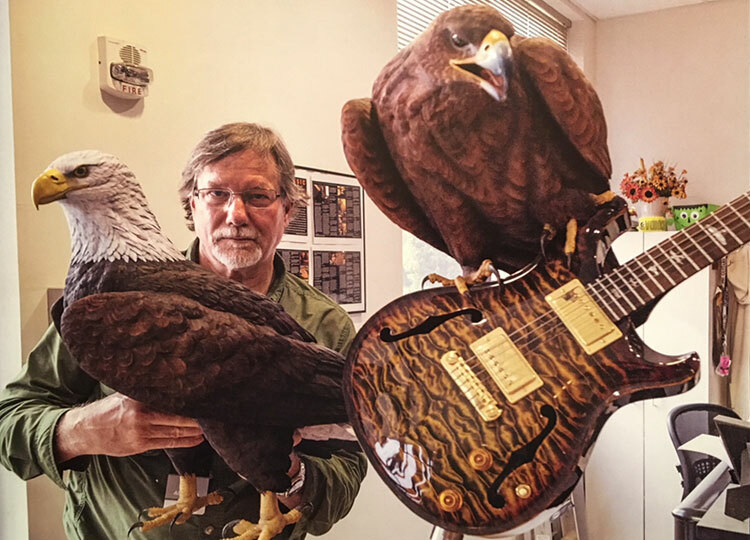 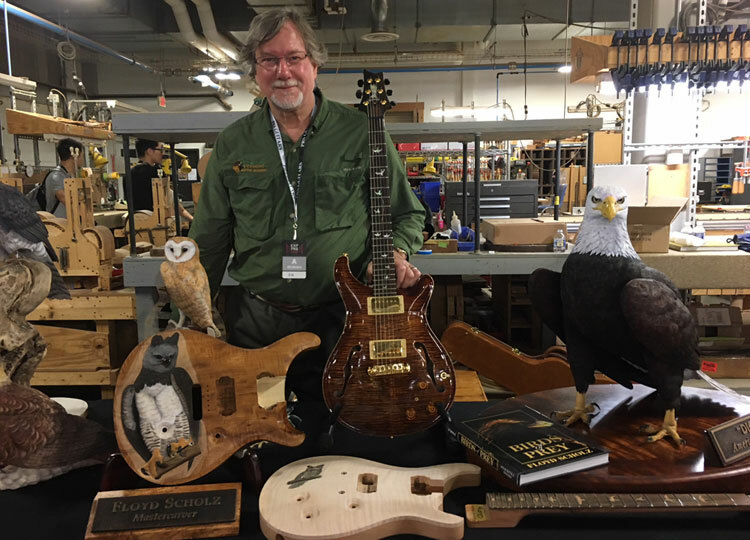 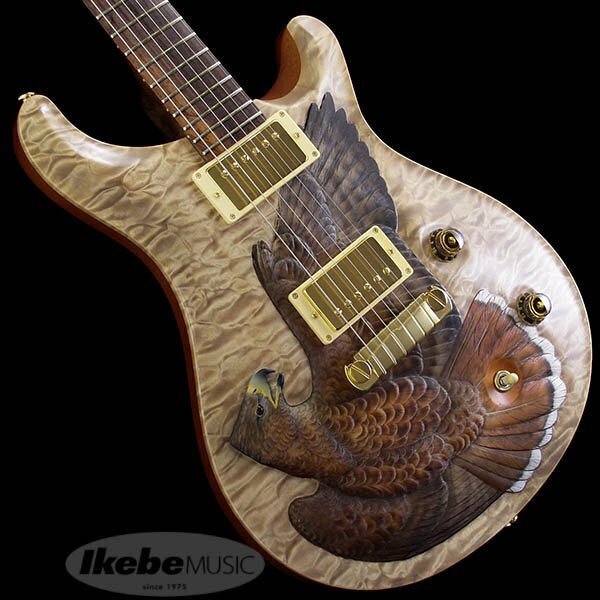 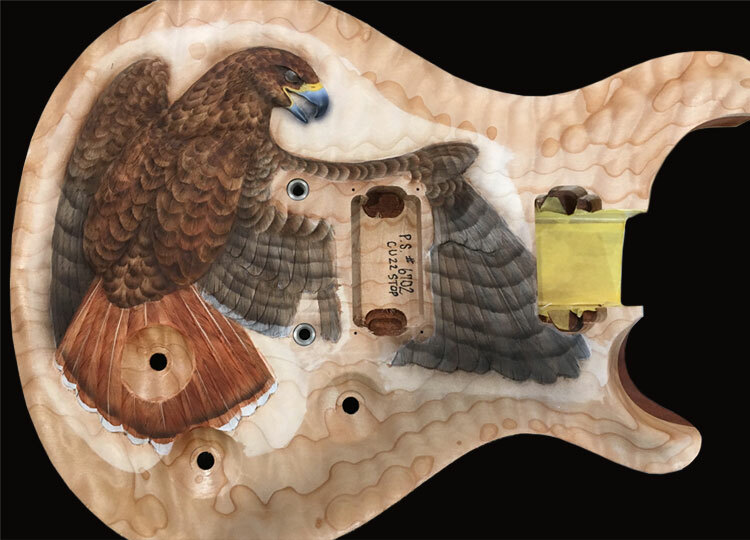 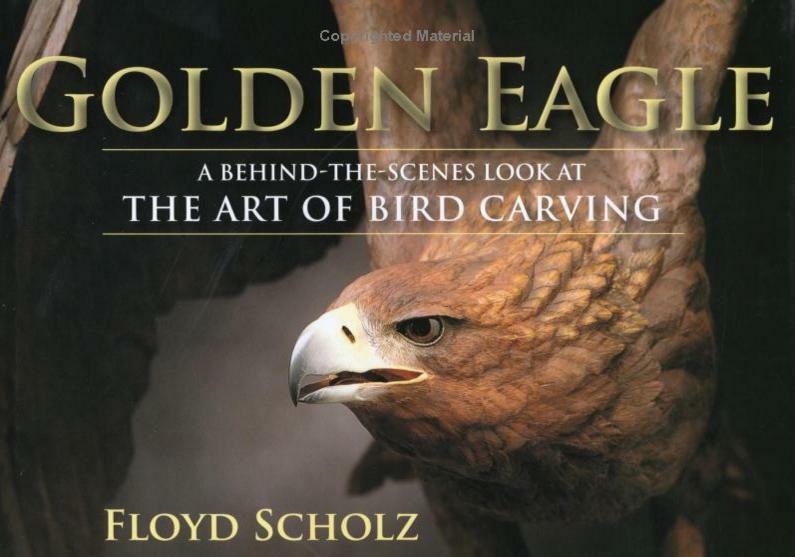 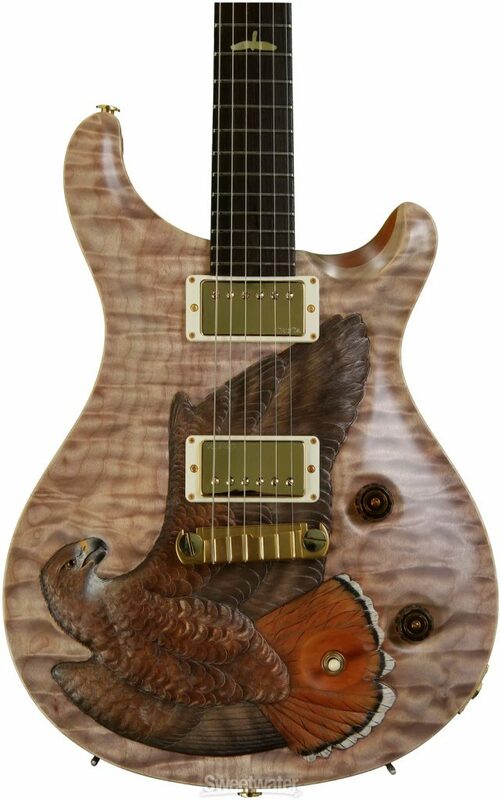 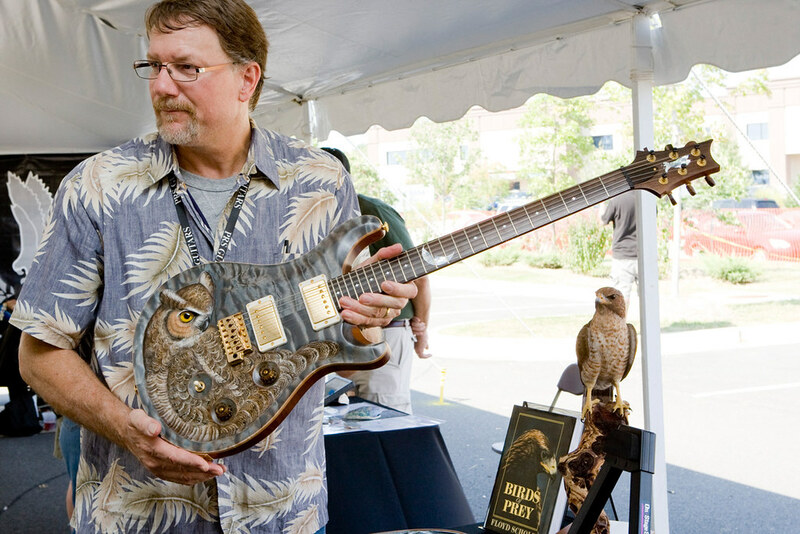 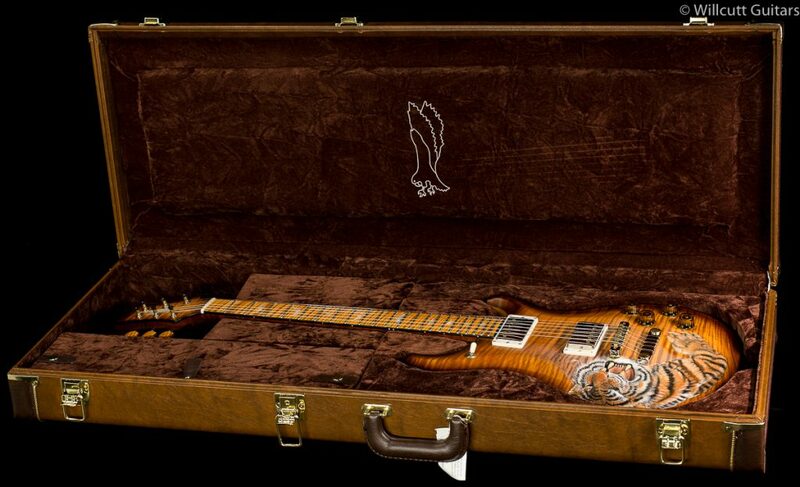 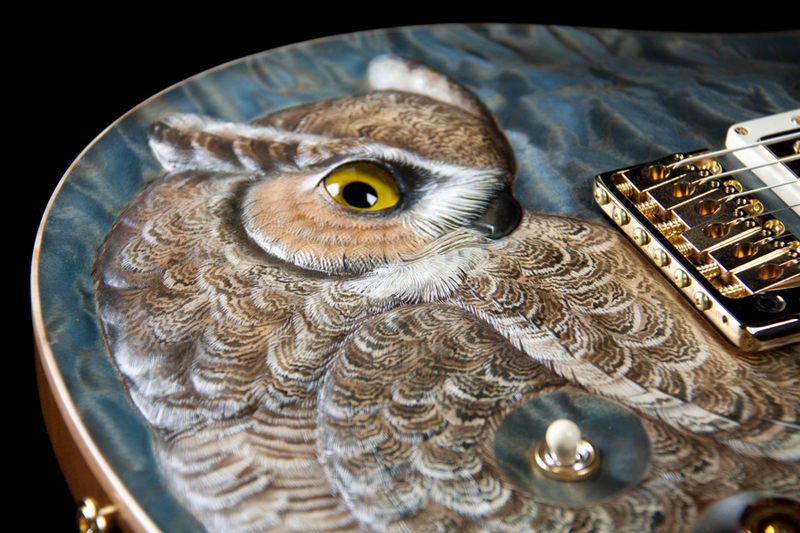 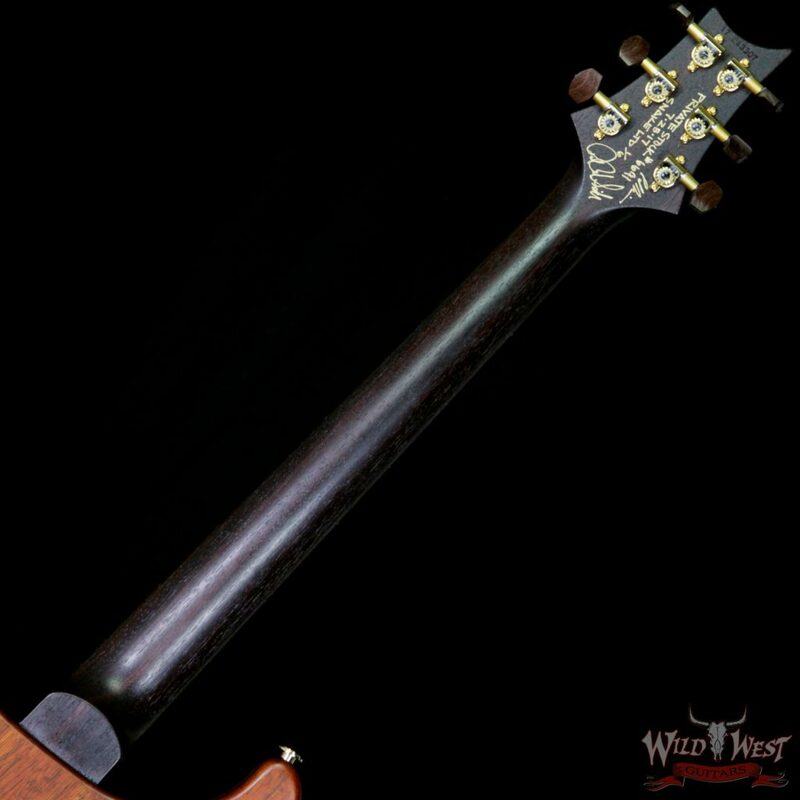 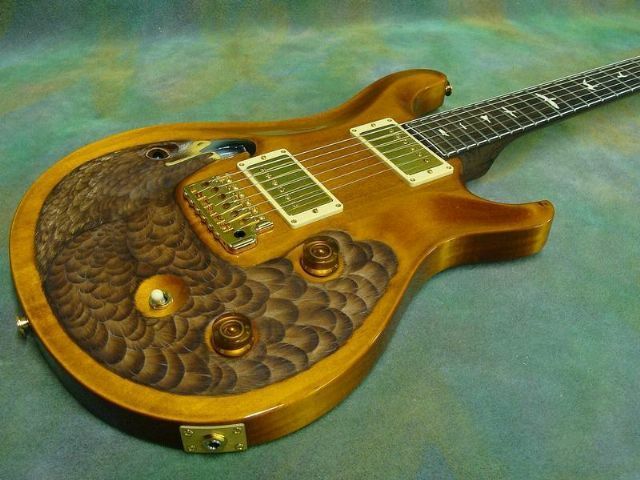 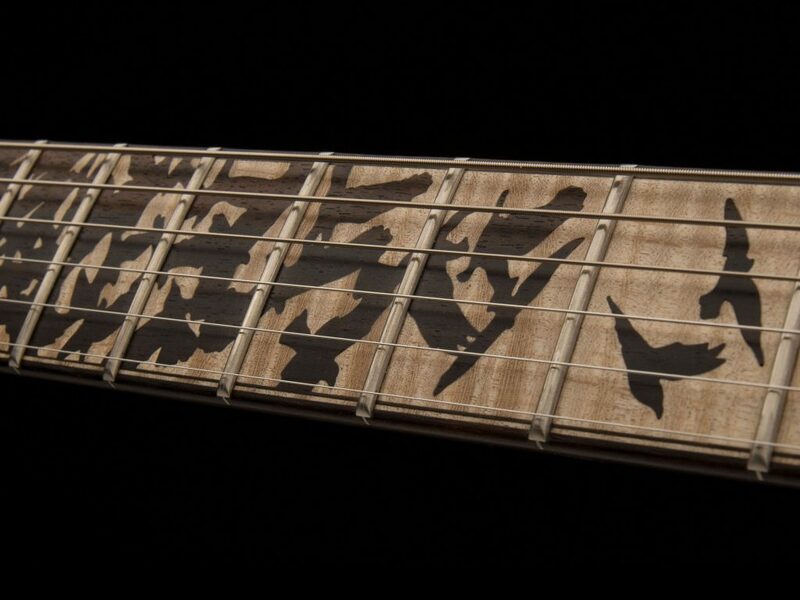 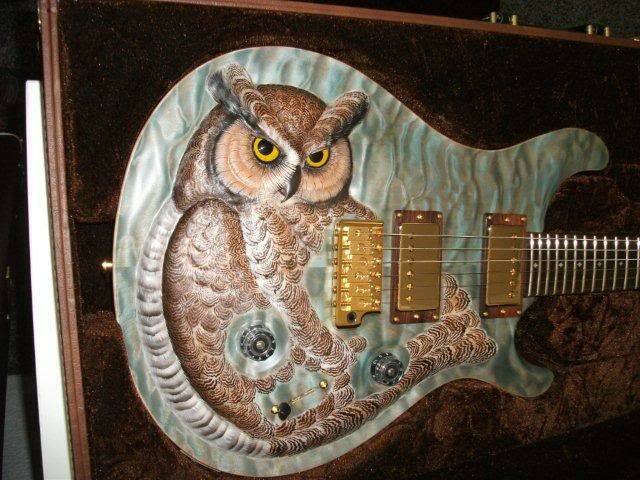 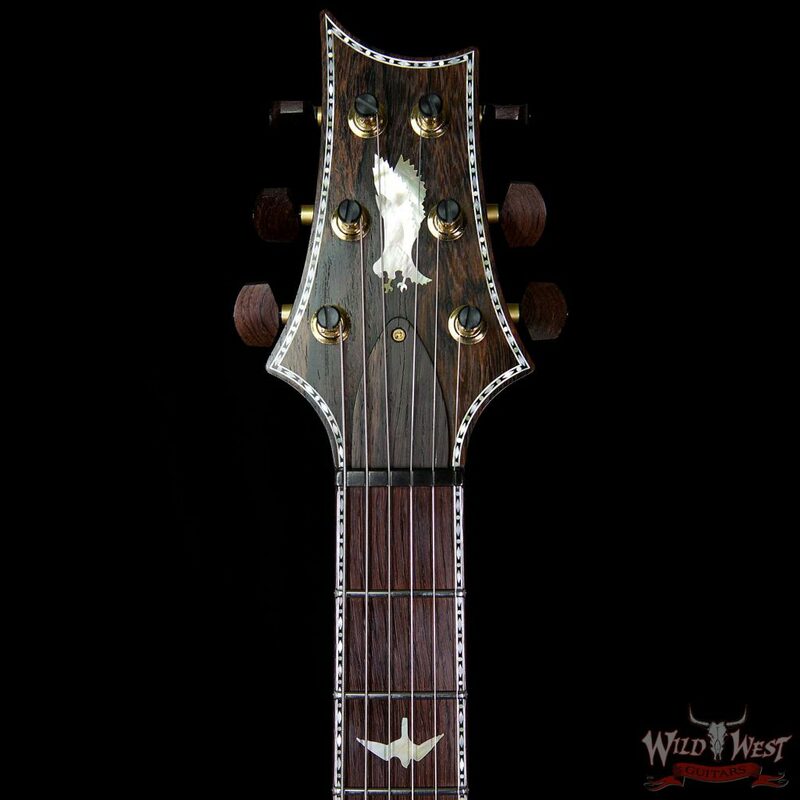 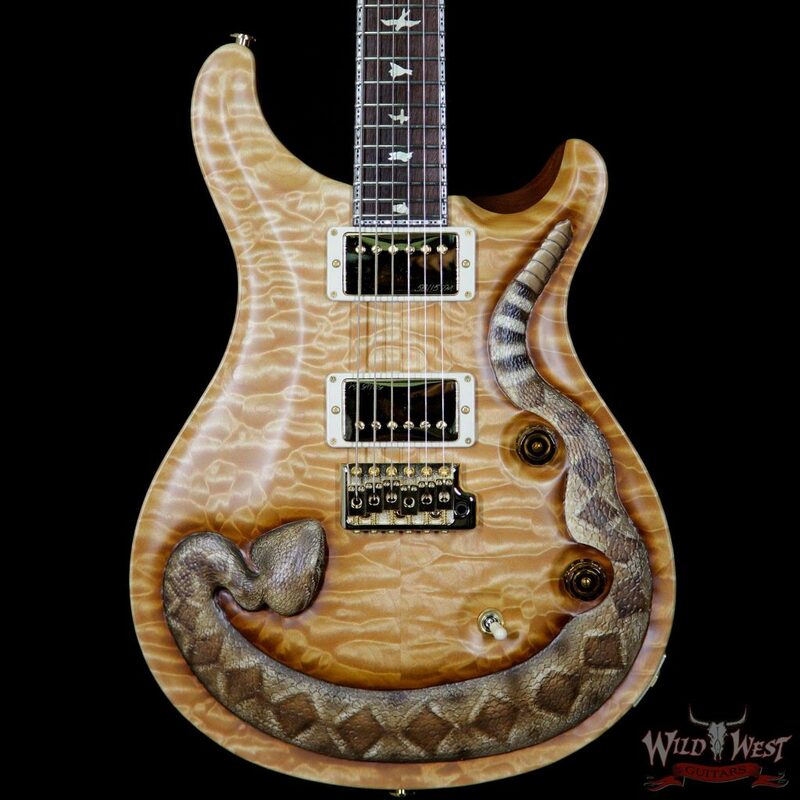 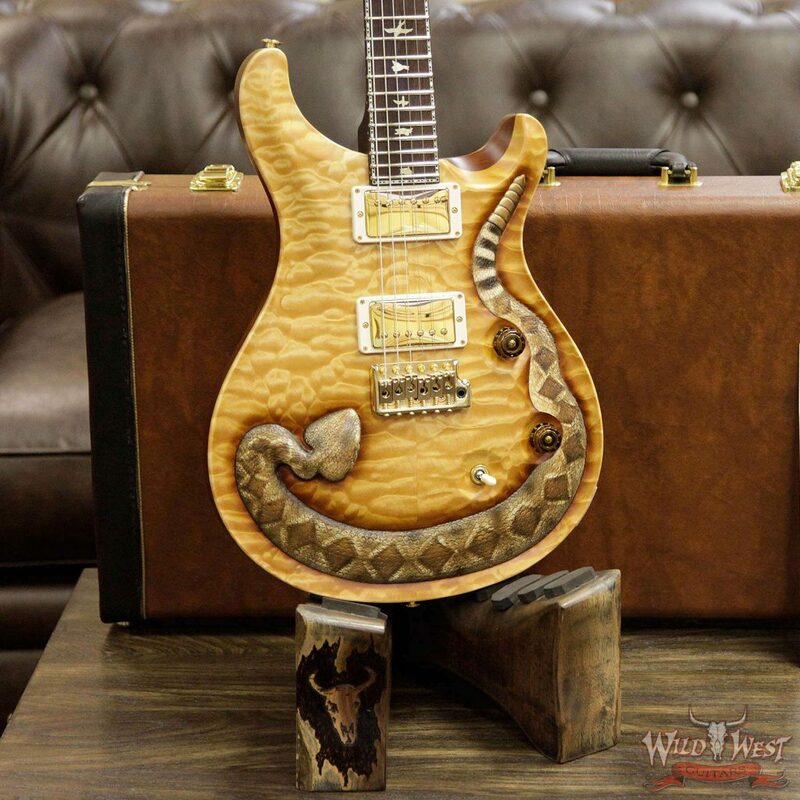 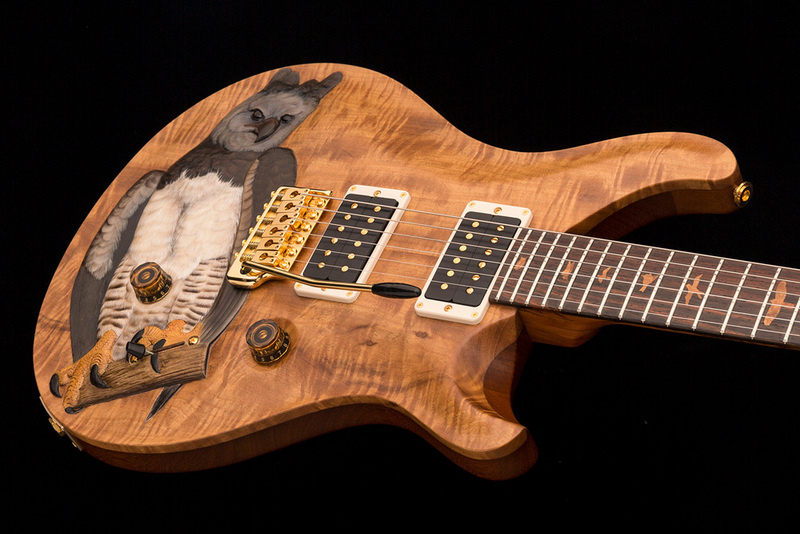 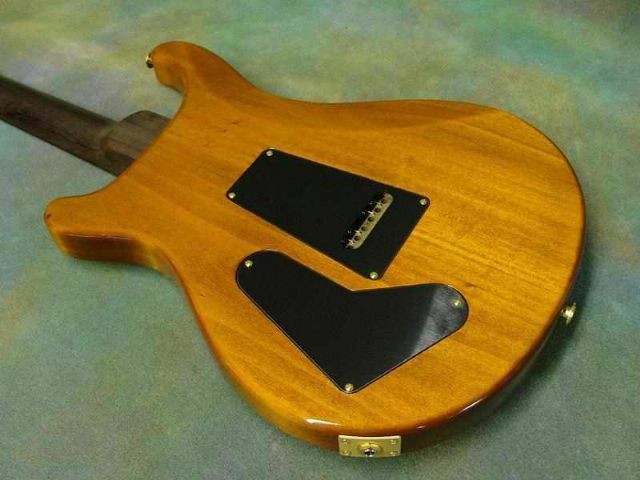 Top Wood Private Stock grade Flame or Quilt Maple top with ‘Great Horned Owl” carved by Floyd Scholz. 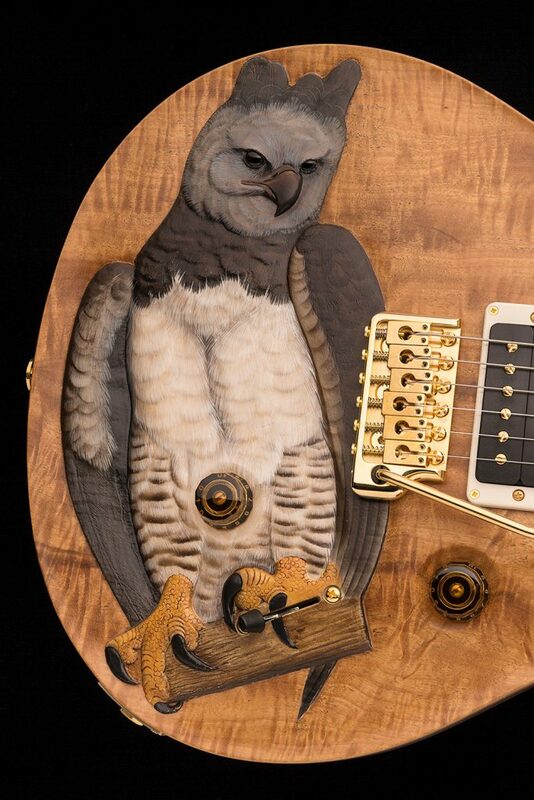 Each guitar with different owl’s head pivot. 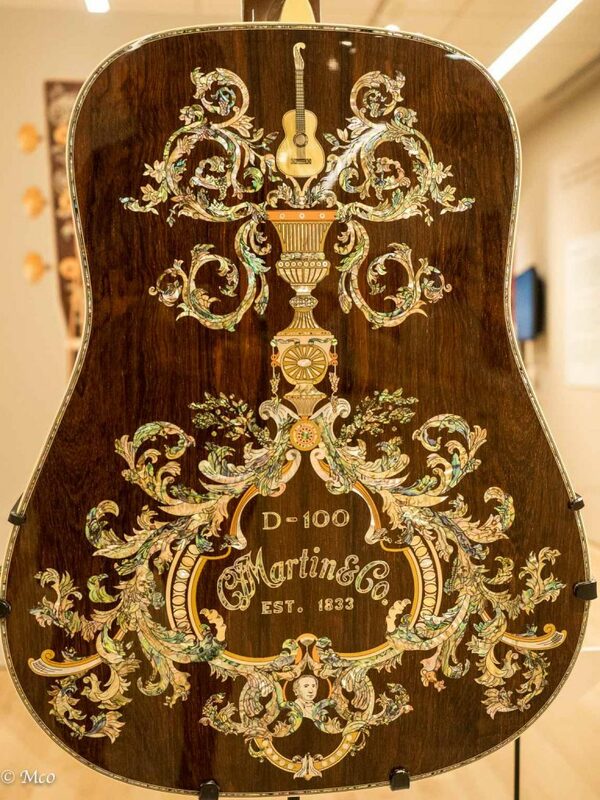 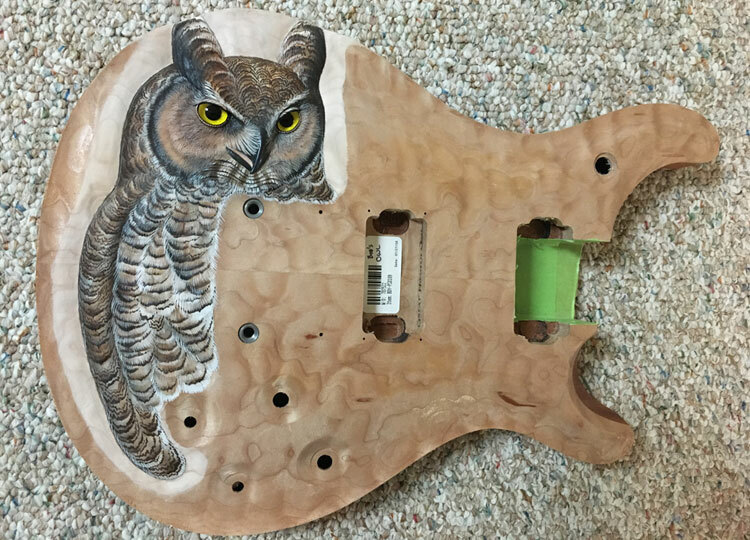 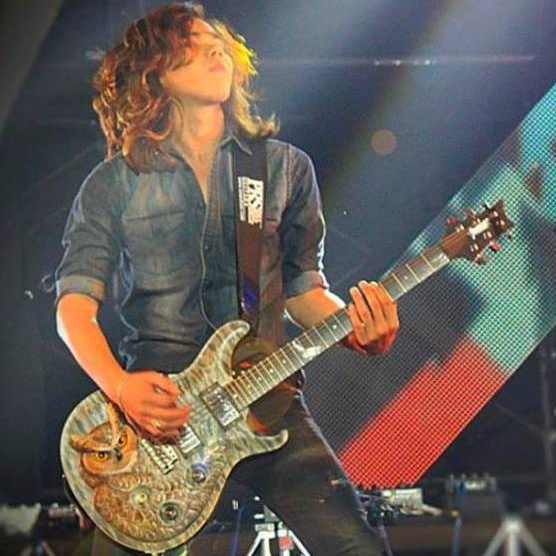 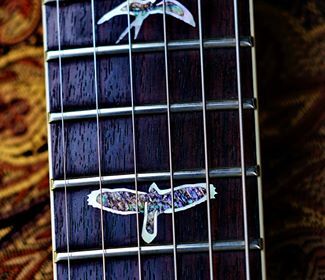 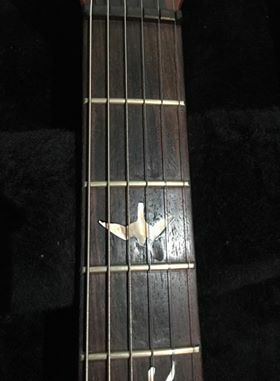 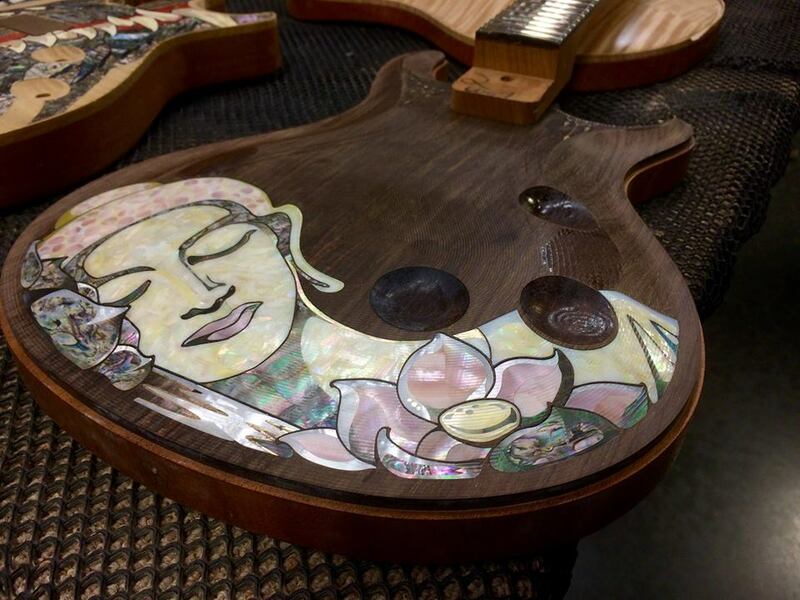 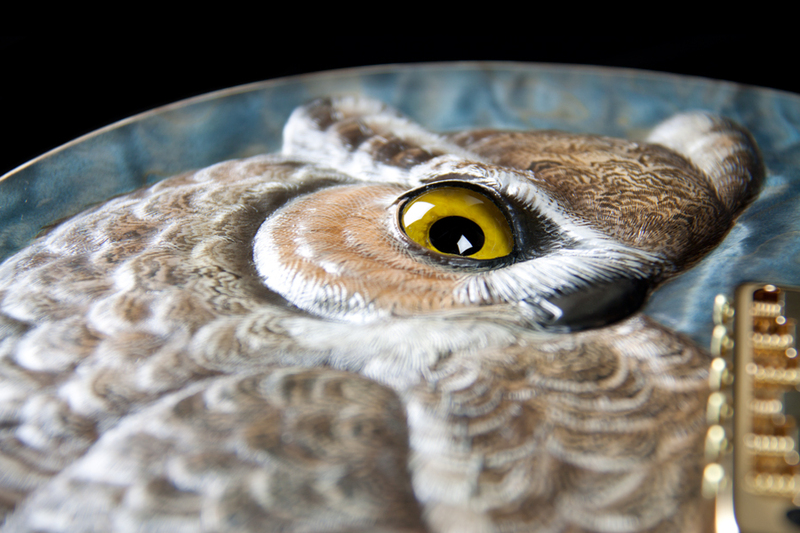 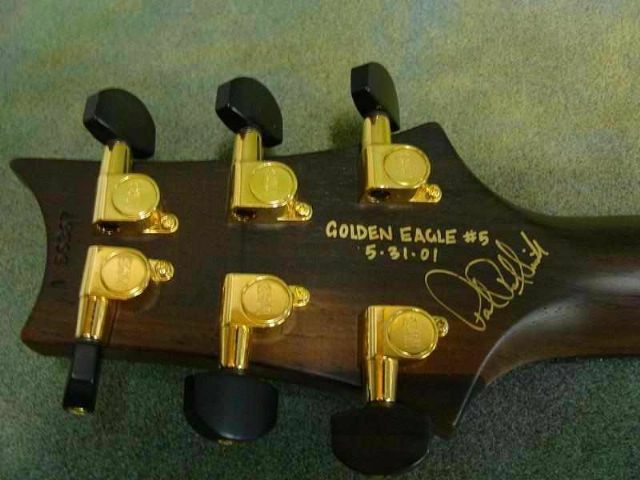 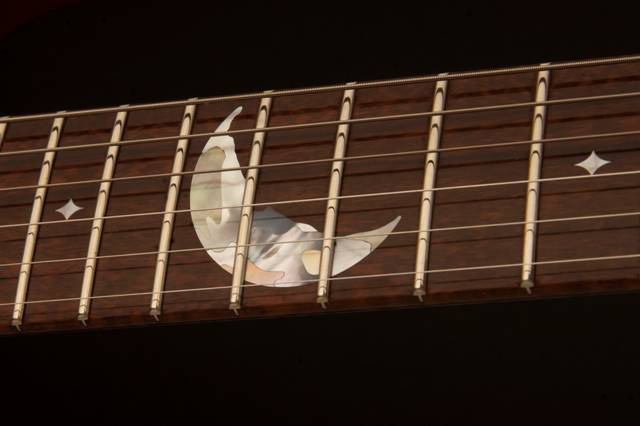 The owl on the last guitar looks straight at you. 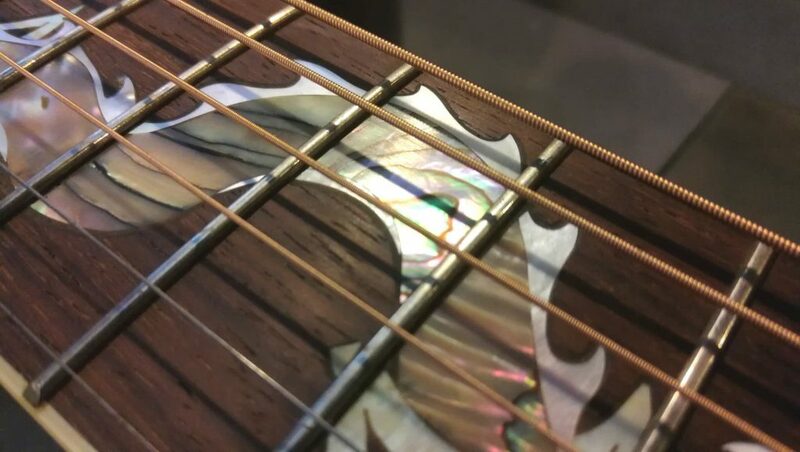 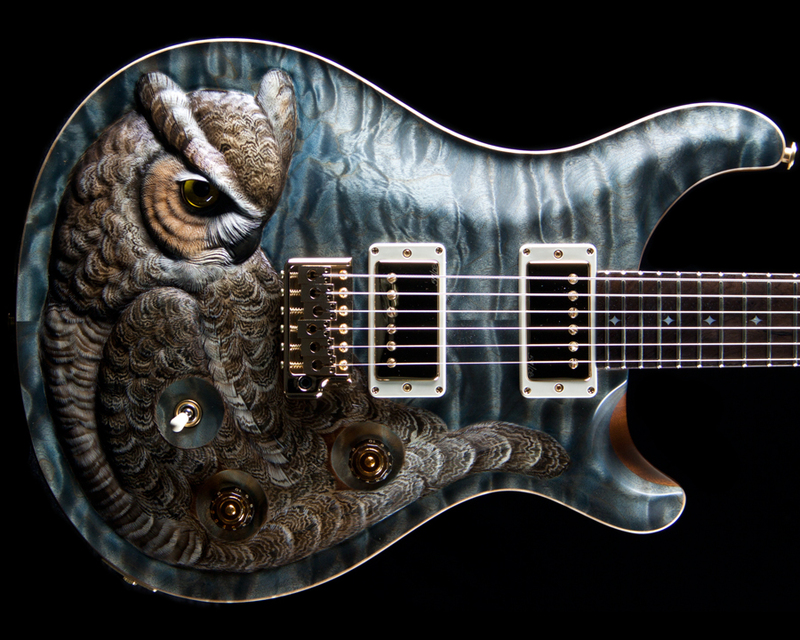 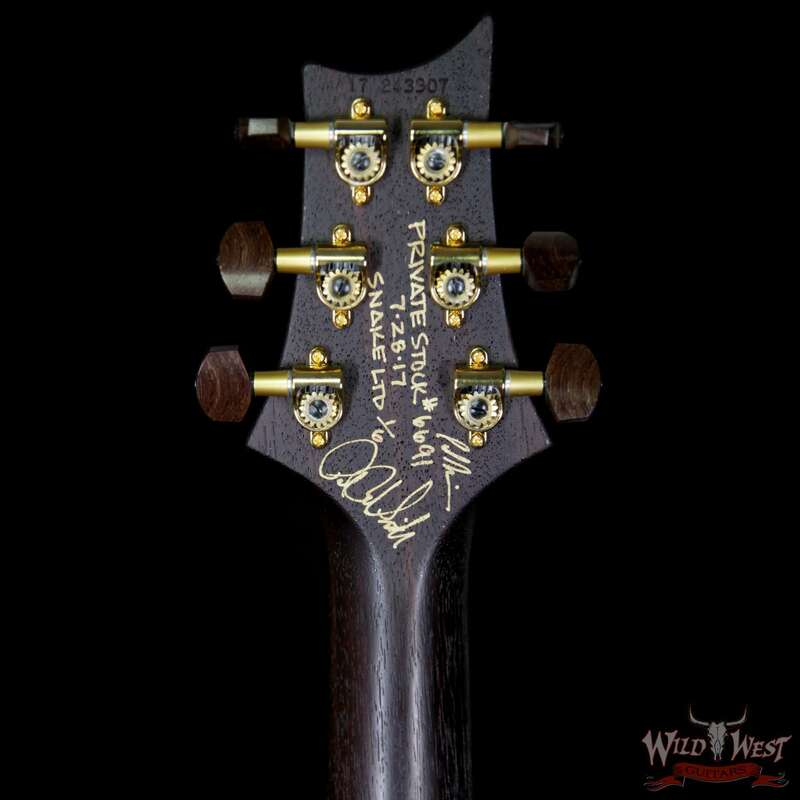 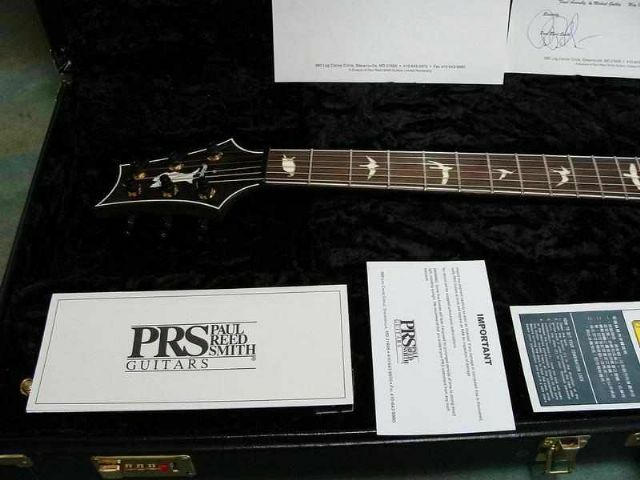 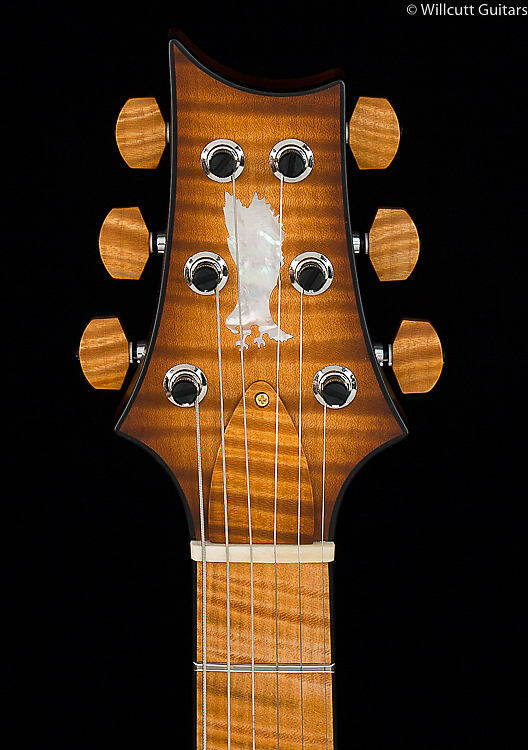 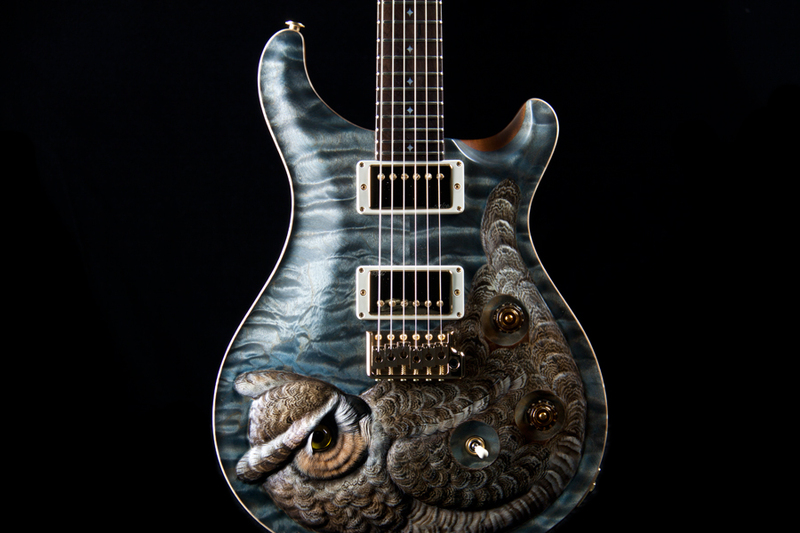 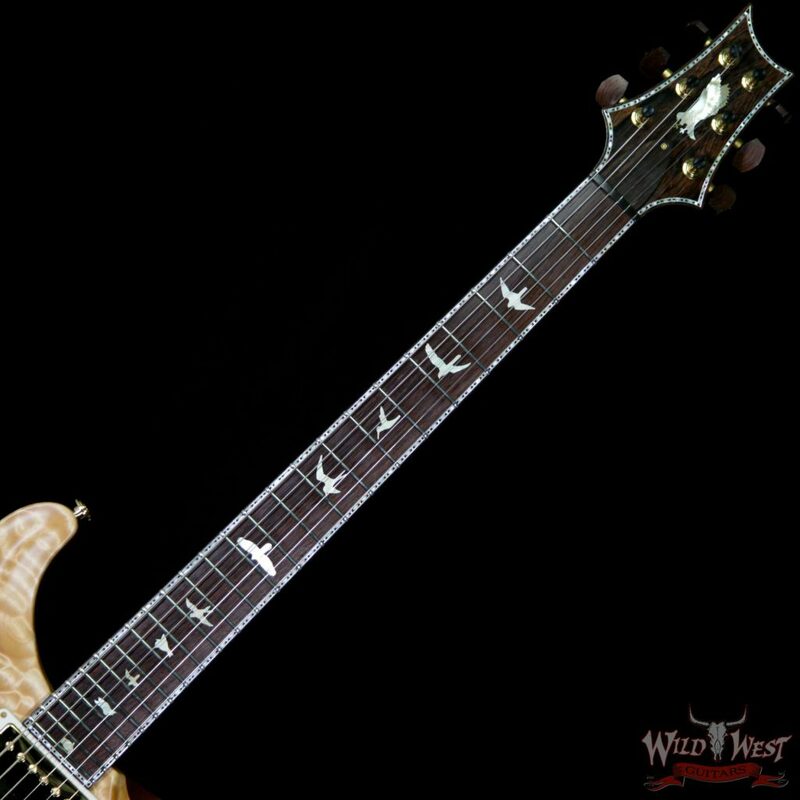 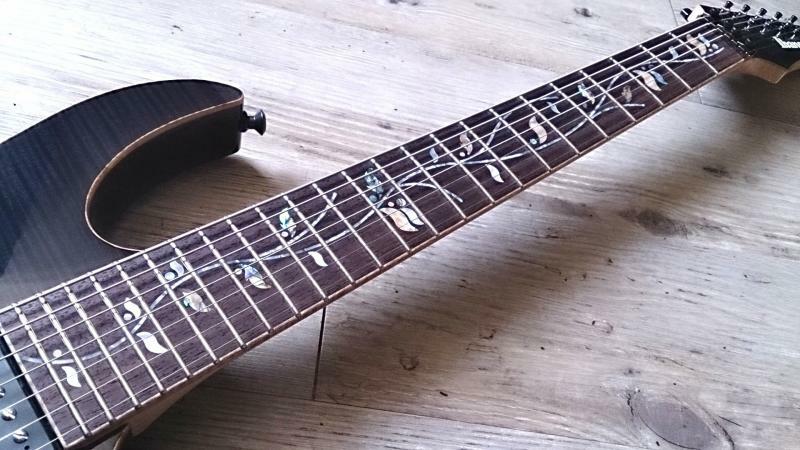 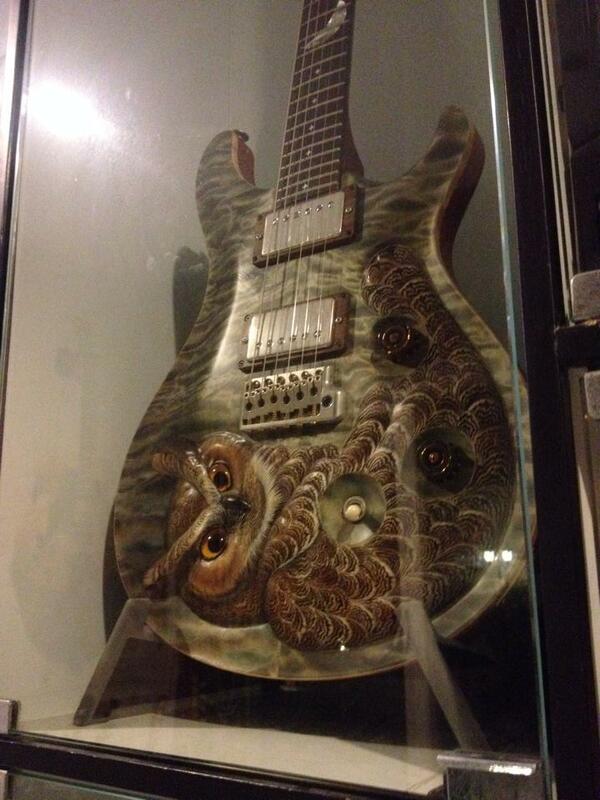 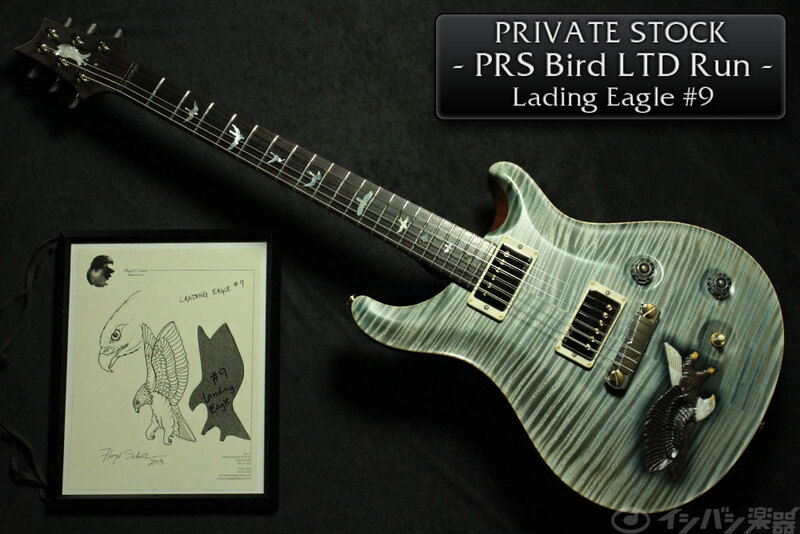 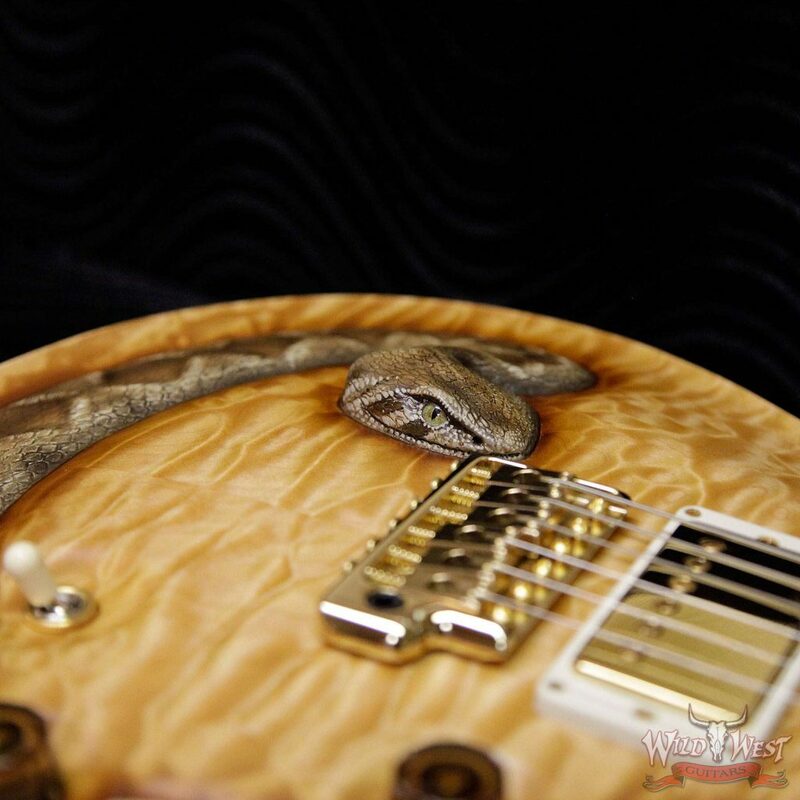 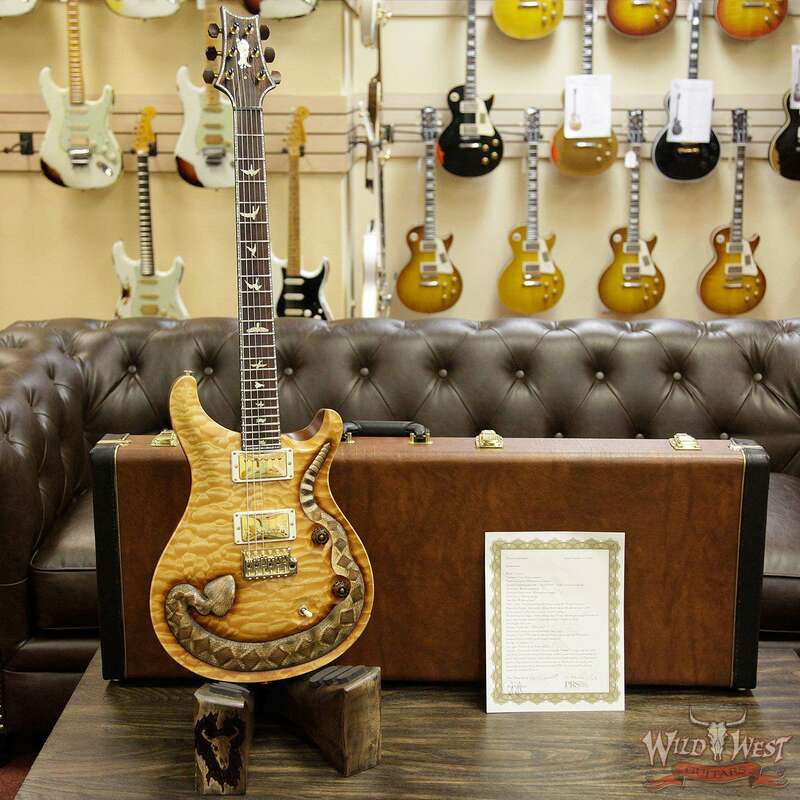 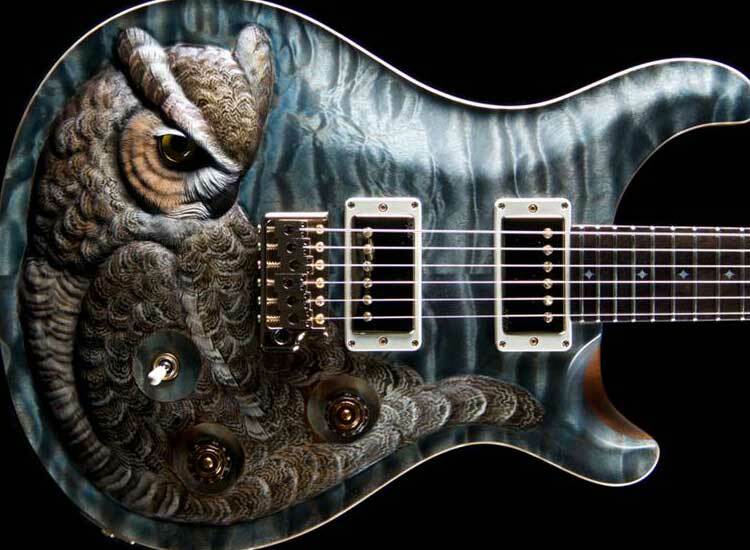 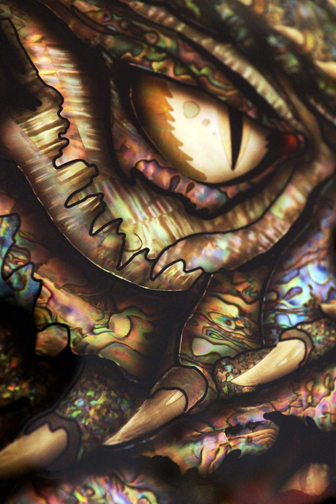 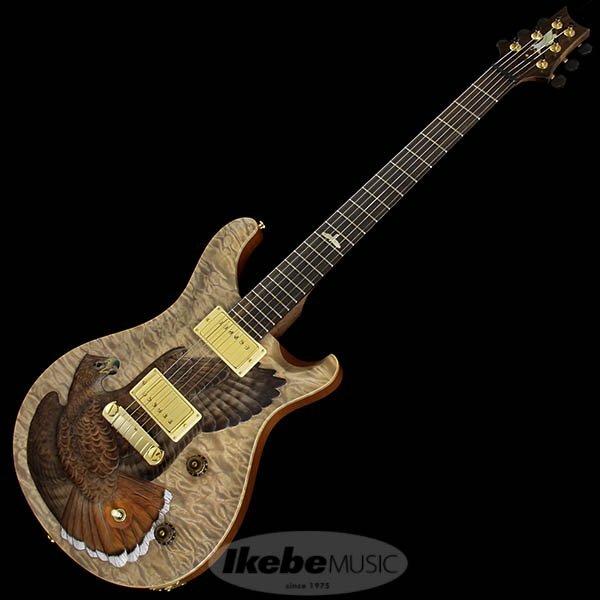 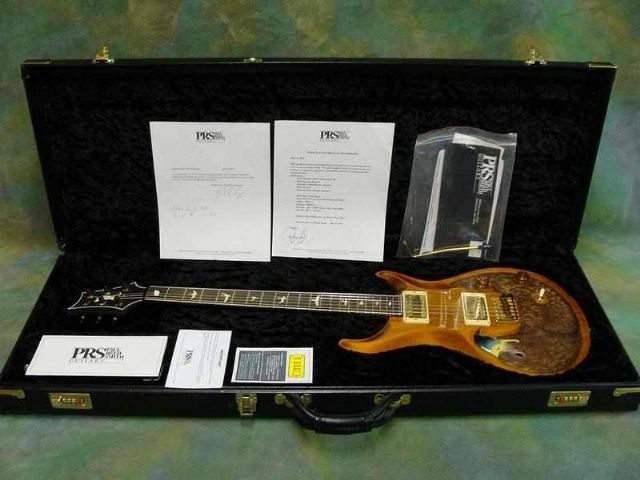 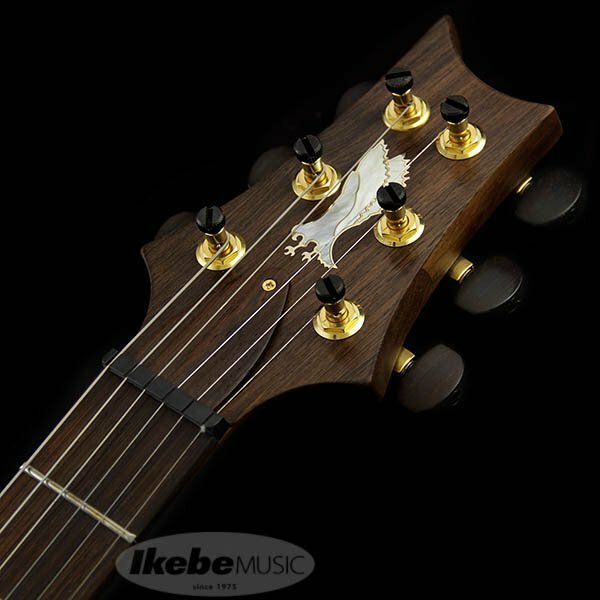 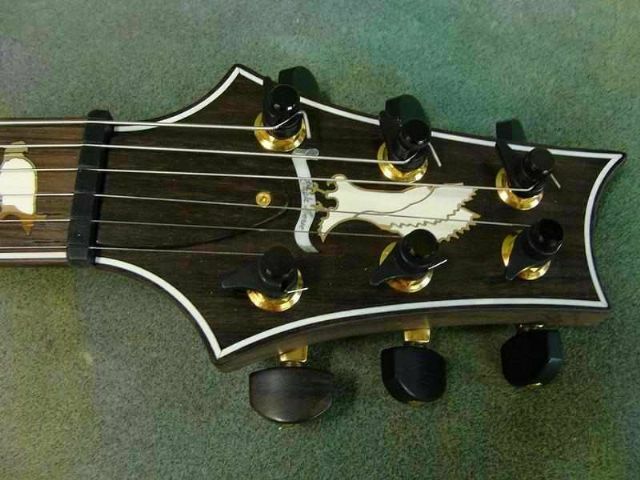 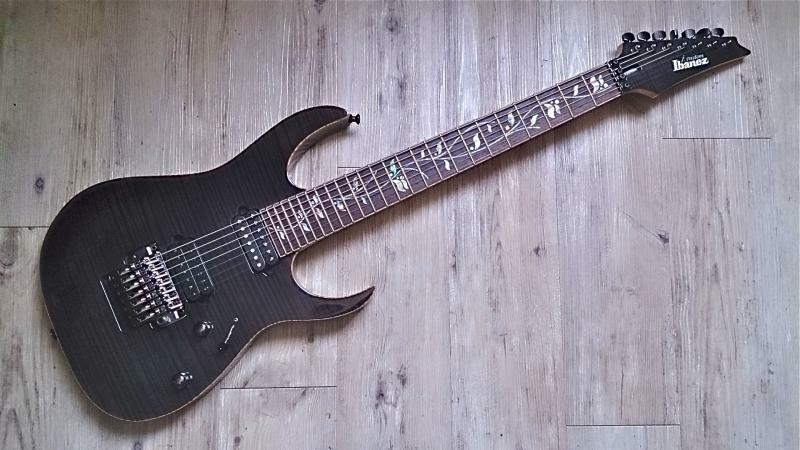 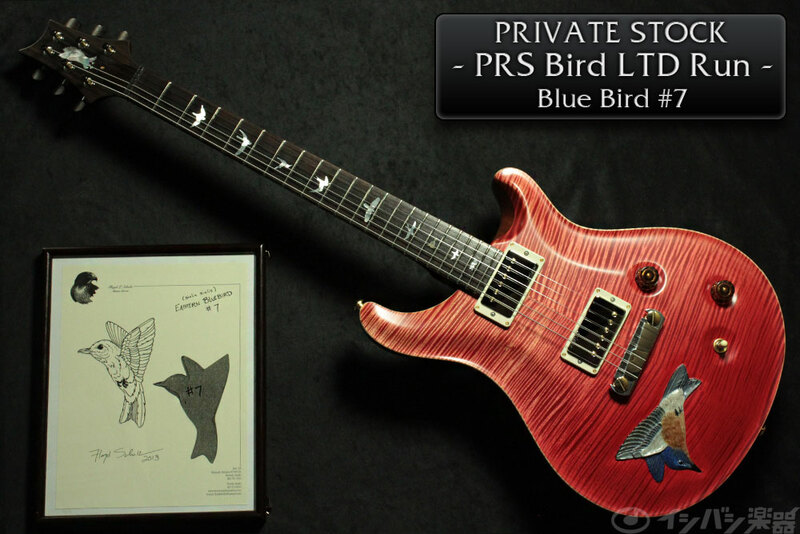 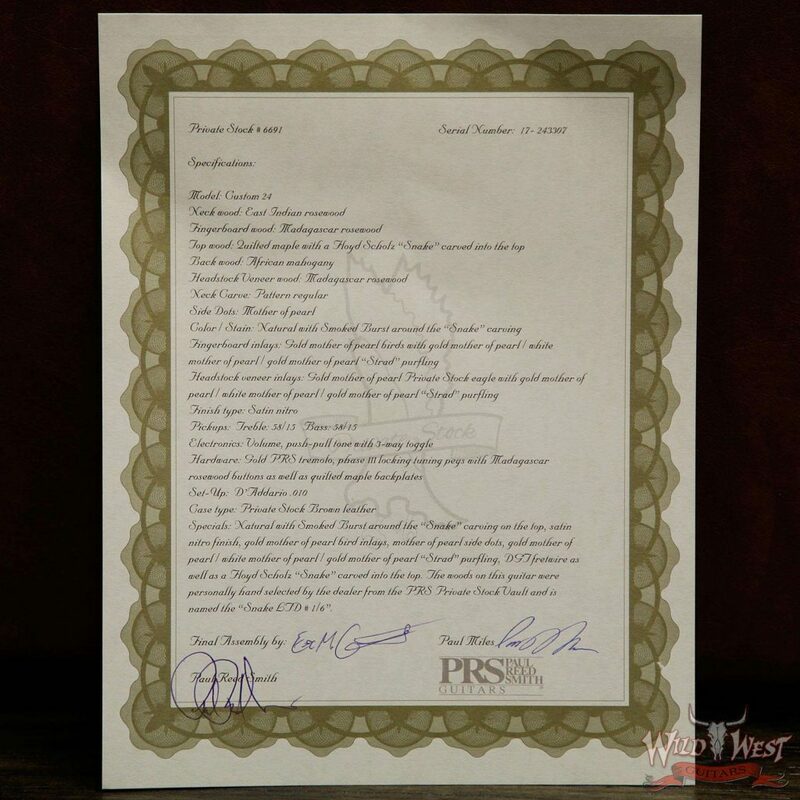 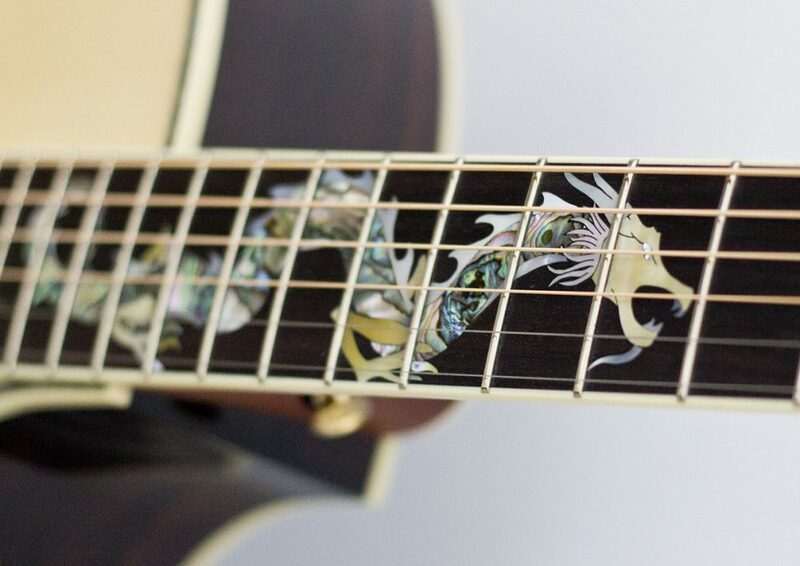 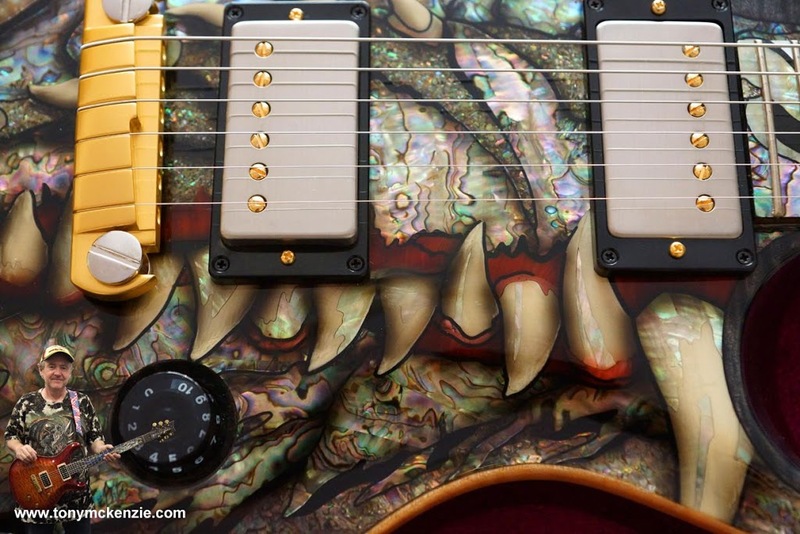 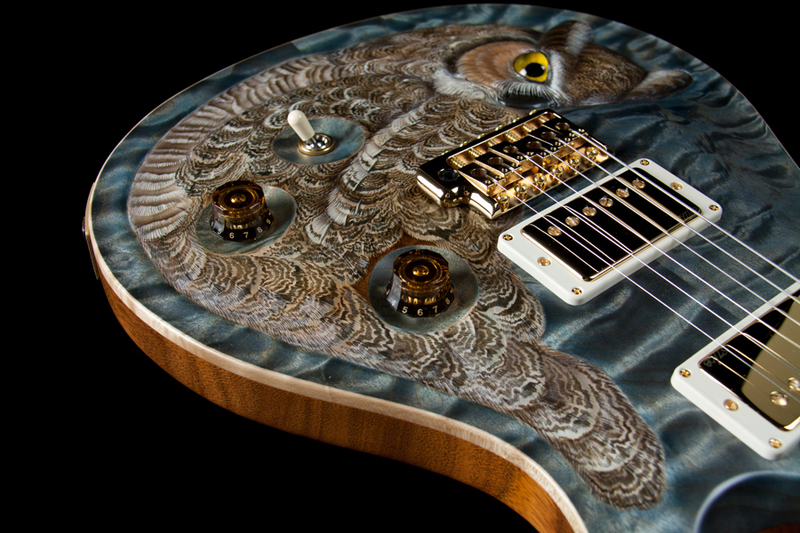 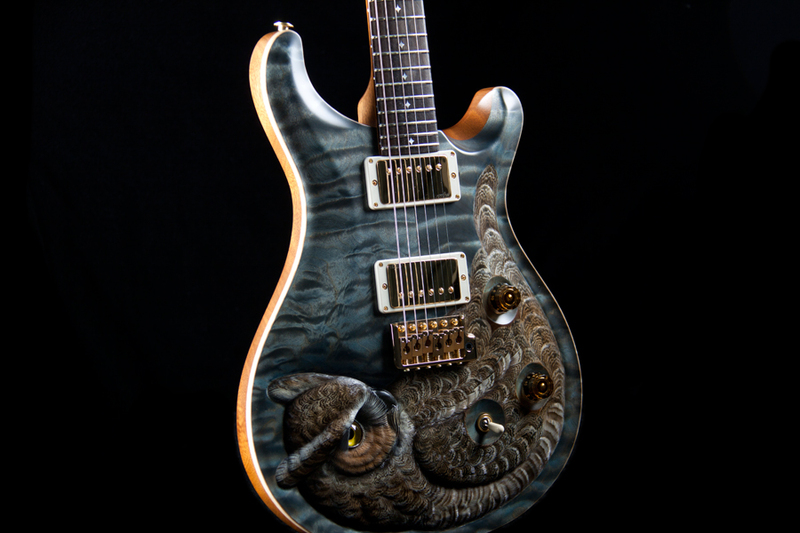 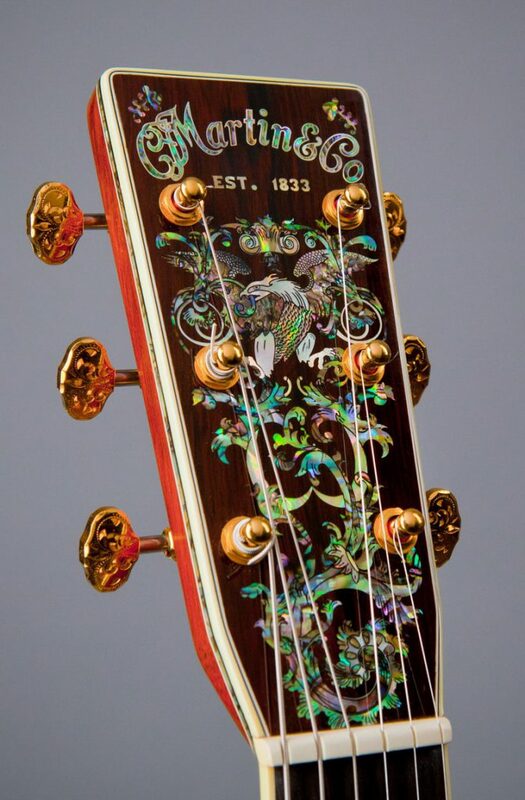 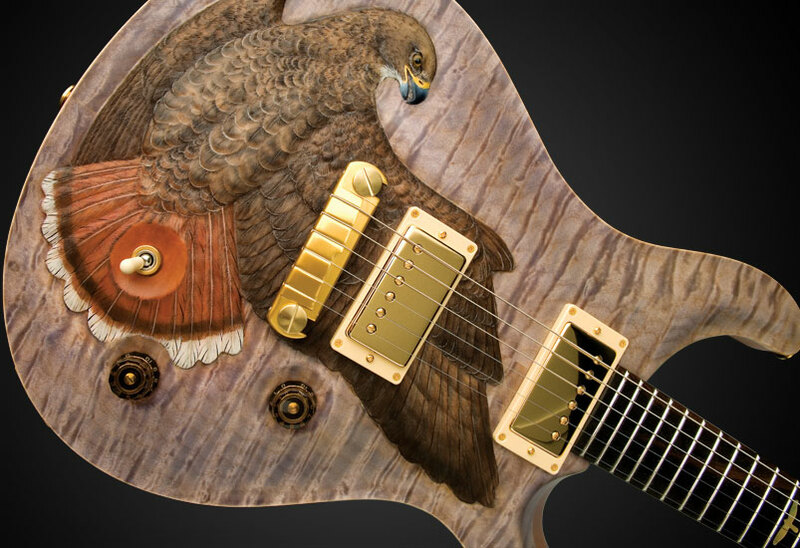 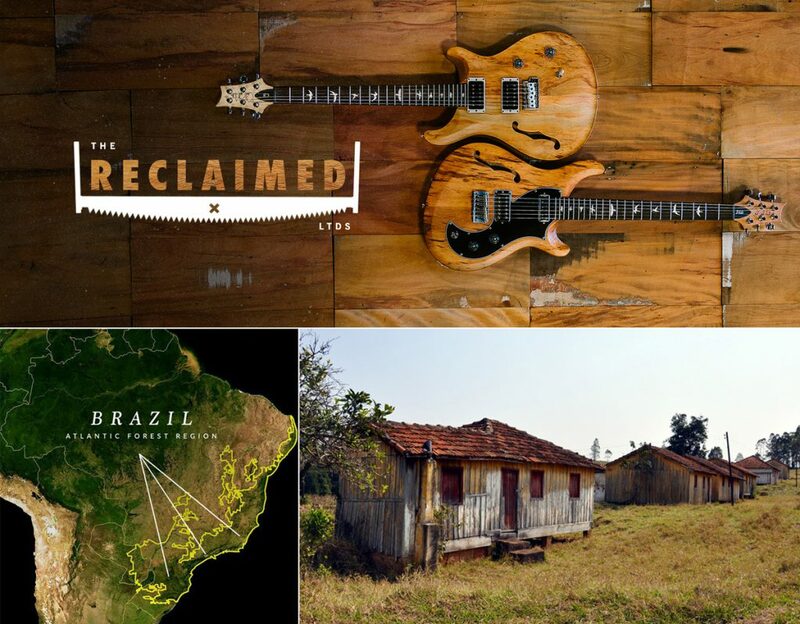 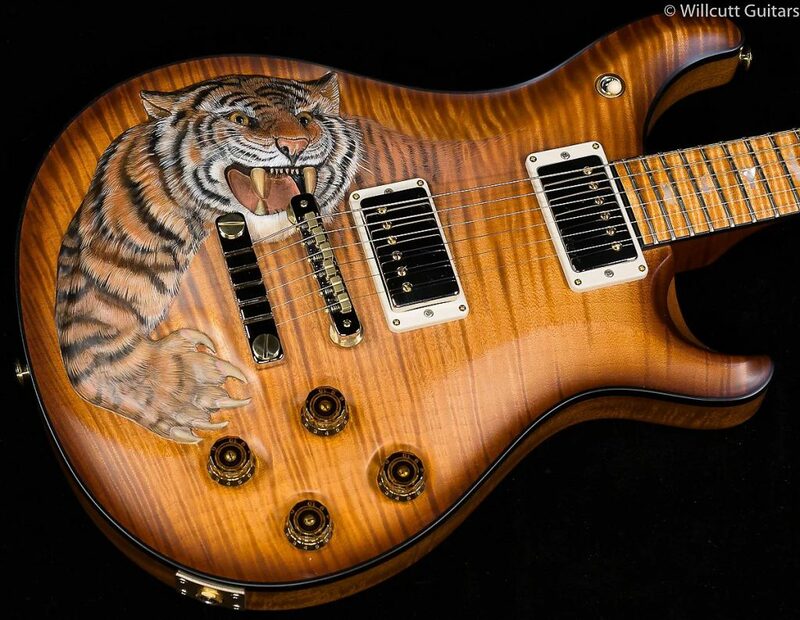 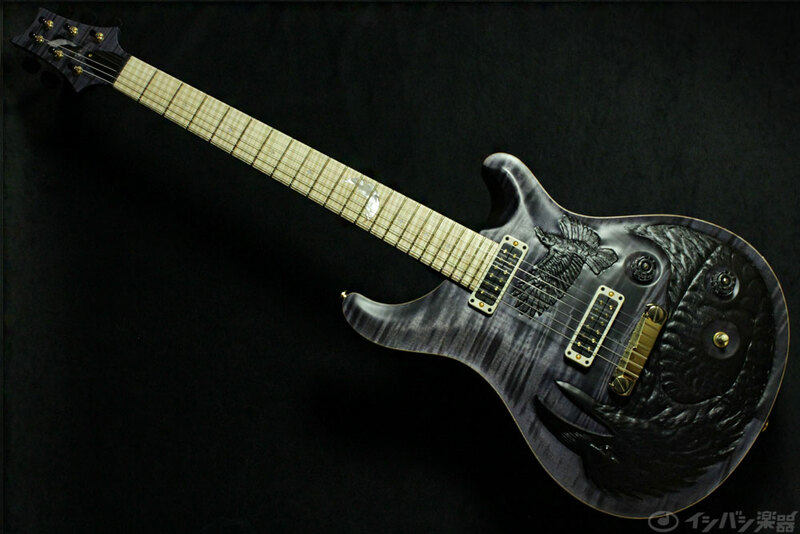 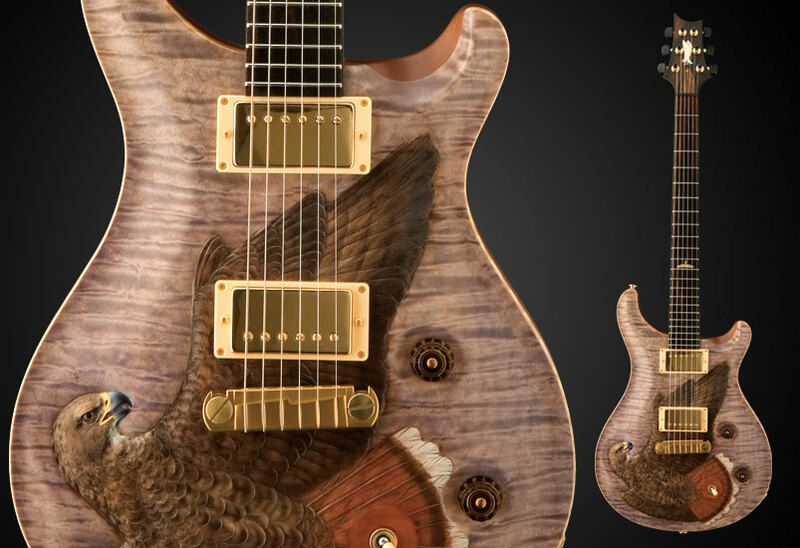 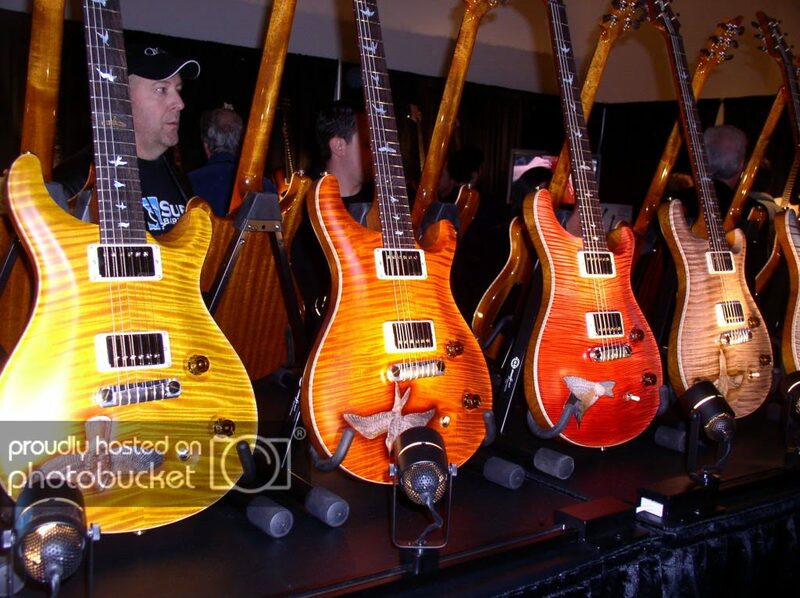 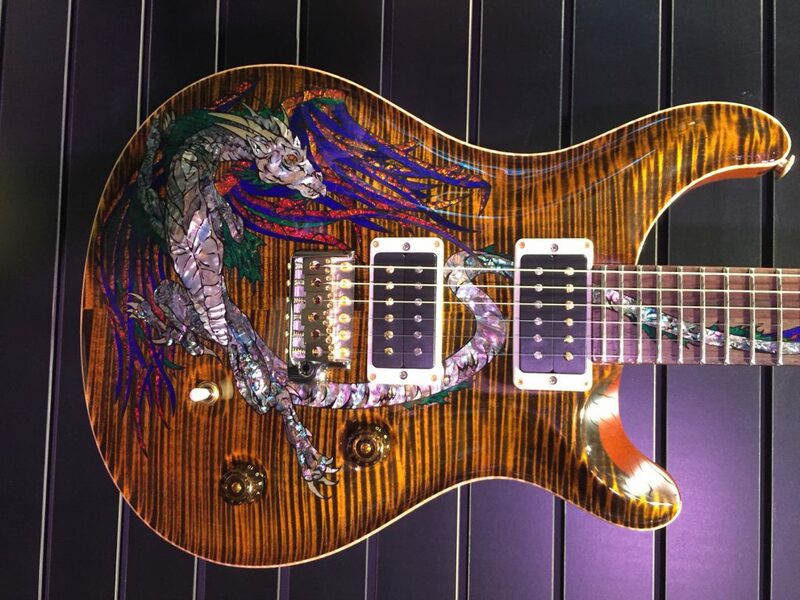 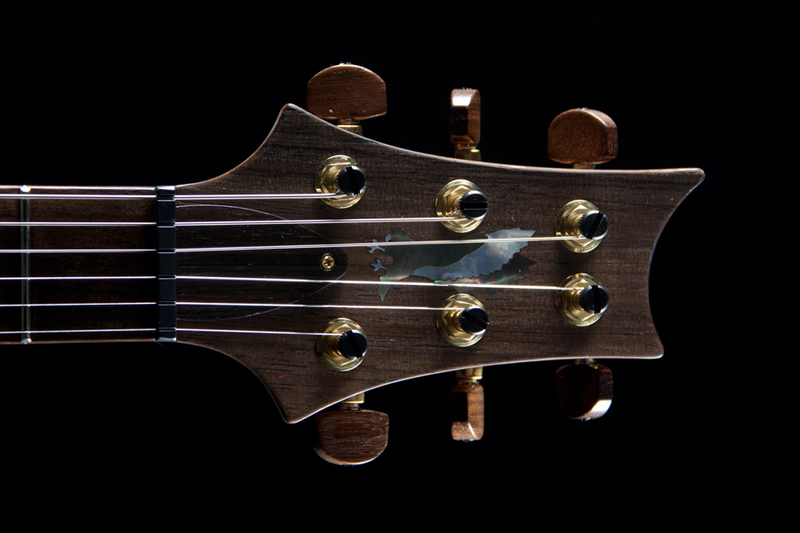 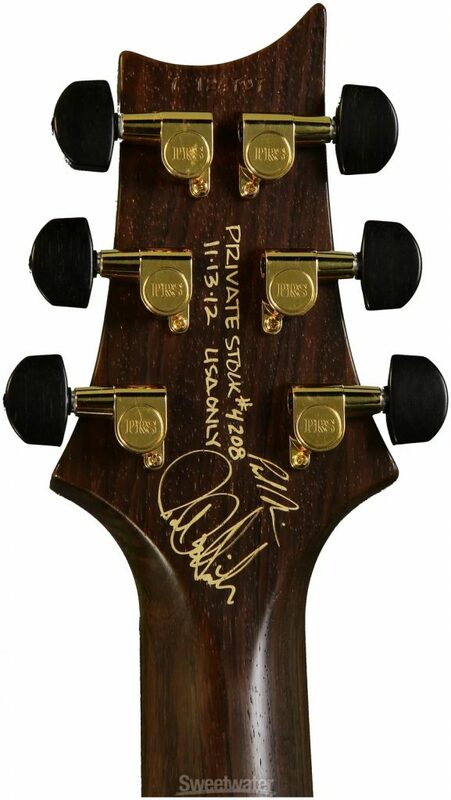 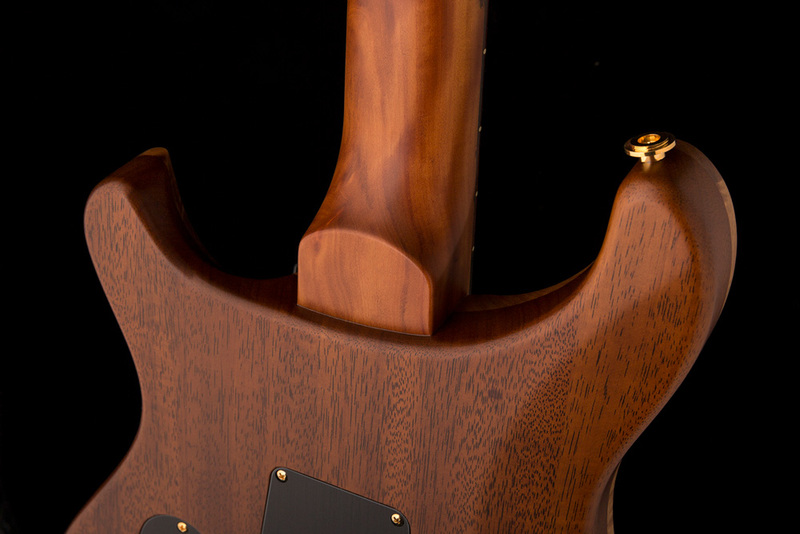 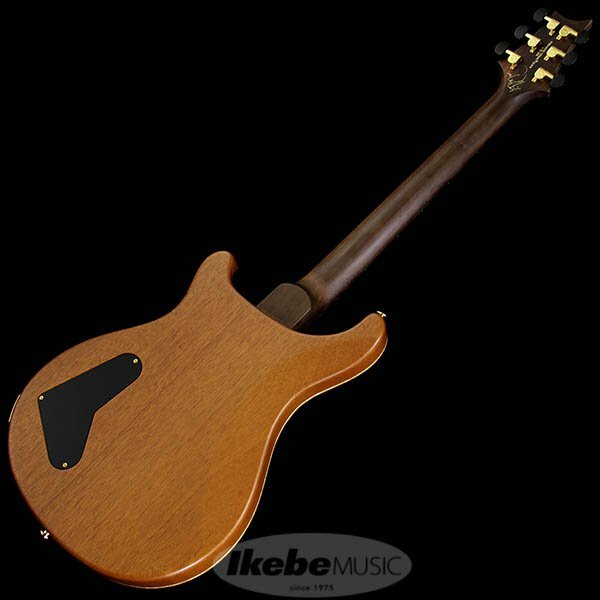 PRS PS Great Horned Owl limited แต่ละตัว ต่างกันอย่างไร? 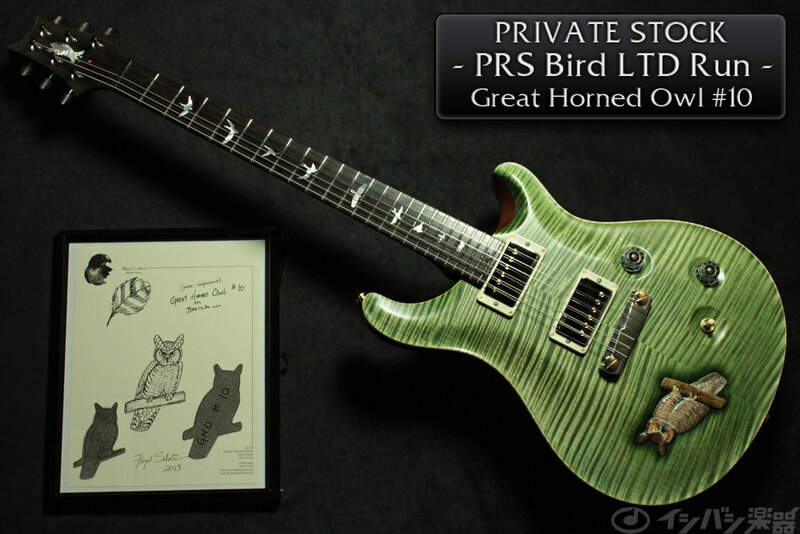 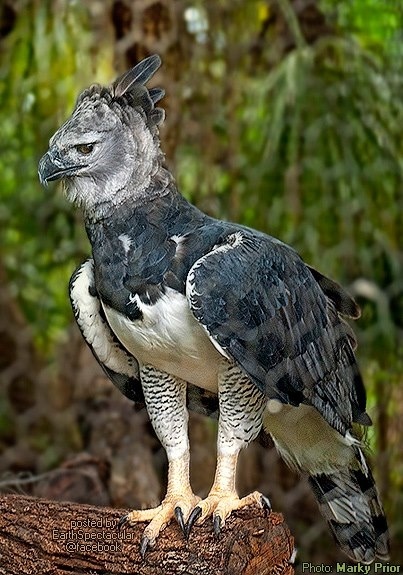 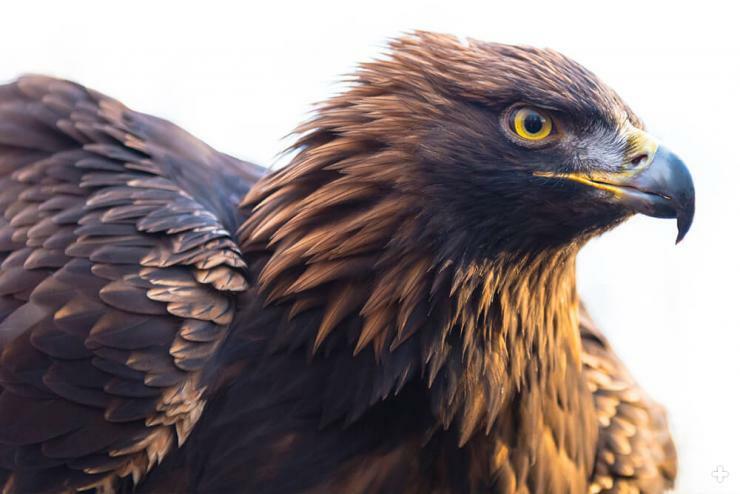 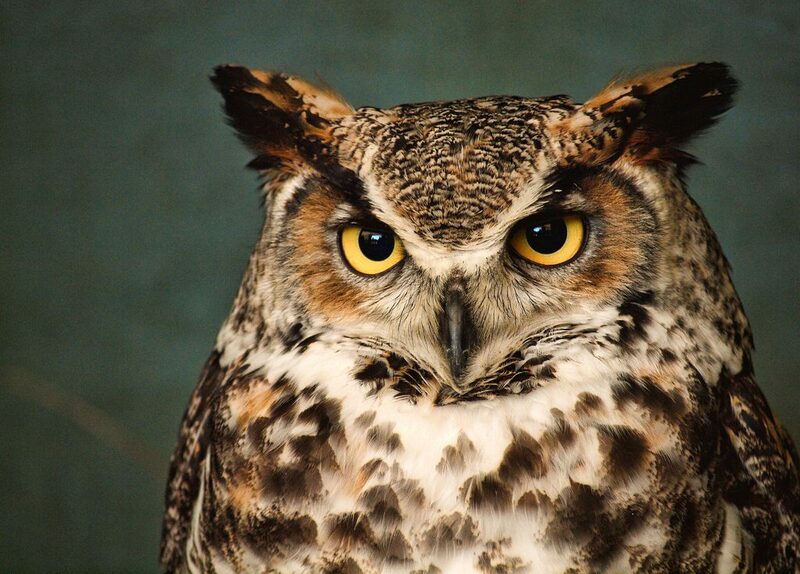 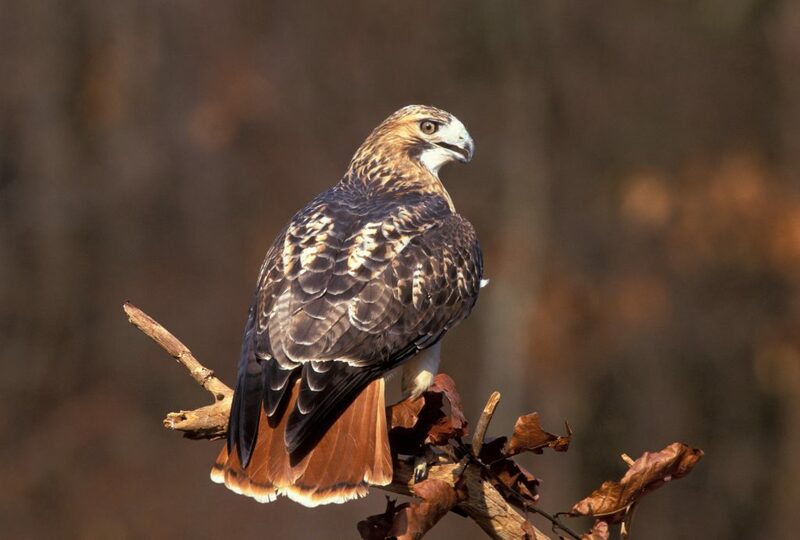 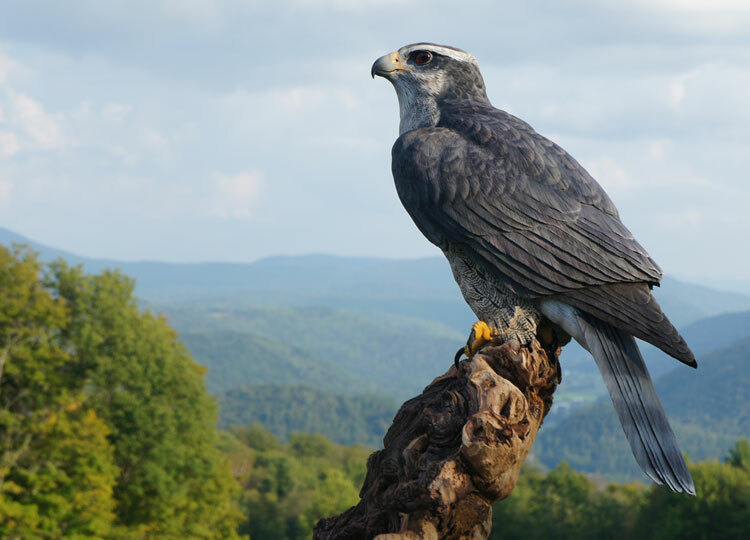 PRS Great Horned Owl limited ตัวไหนแพงสุด?